Why Vertical Gardens are the Best Investment you can Make for your Home? Homes are a haven promising security, peace and calm to its dwellers. Going home after a day’s work, all one needs is an environment that helps to relax and refresh for the next day. Come to think of it, nature has this pleasant effect on us. But with shrinking apartment sizes and constricted balcony areas, how does one introduce nature to their private space? The answer is – Vertical Gardens as they flourish in both expansive spaces and tiny nooks. Imagine a wall in your living room partially covered with natural greens. Limited ground space is what makes this solution viable in city homes. 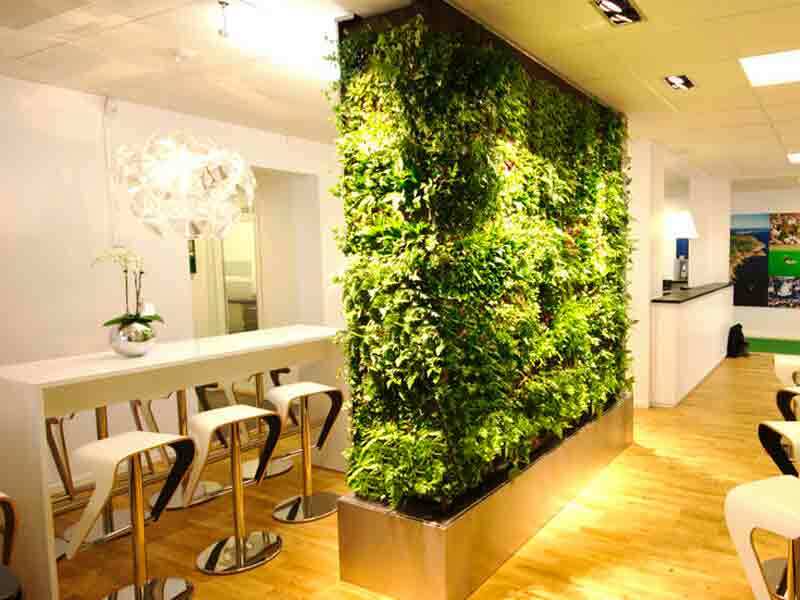 At the same time, Vertical Gardens offer a great way to bring some nature indoors. Space is the biggest consideration when you think of renovating your home. Usually Ground or floor space is mostly covered with furniture, accessories or lamps and we find ourselves battling with the idea of transforming the four walls of our house into our home sweet home? If you happen to have a balcony, even that might seem short of space when you think of them as your hangout spots, cafe, cloth washing or drying area. Walls are, however, the most underused and overlooked spaces in our houses, especially when it comes to decor. Living walls can be the ultimate solution to help you breathe a whiff of fresh air as they beautifully sit on your walls complementing your home decor, both indoor and outdoor. While research suggests that we spend more than 90 percent of our time indoors, it also claims that the air that we breathe indoors is more polluted than that outdoors. Vertical gardens add the requisite touch of green to our homes that remove carbon dioxide and cleanse the air off harmful pollutants released from the decor items, furnishing, rugs, carpet dyes, curtains, furniture, wood flooring resins, air conditioners and even from the car parking area. Green walls work beautifully in air purification and removal of chemicals, so much so that they not only make the air cleaner and purer, but also boost your immunity. This further protects you from mucous membrane diseases like common cold, nausea, dizziness and the like. 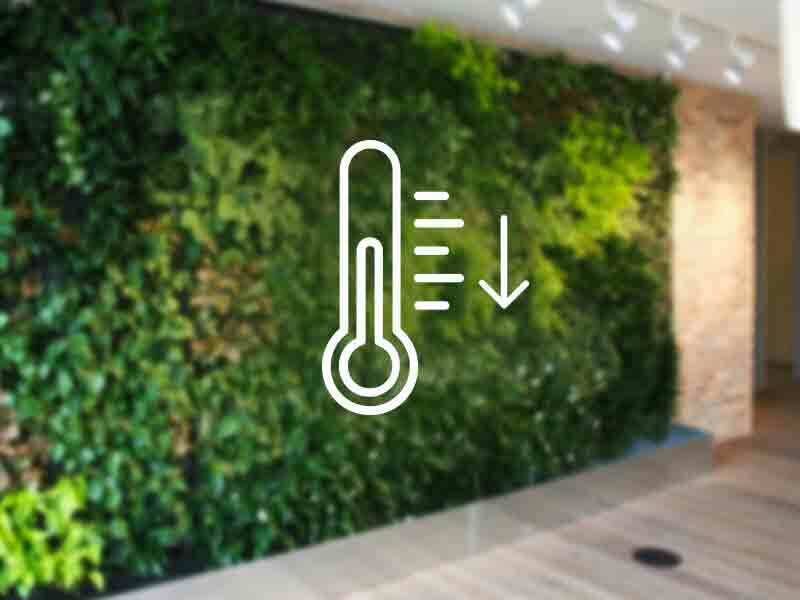 Vertical Gardens also improve cognitive functions and relieve stress & fatigue by creating a soothing, relaxing and natural environment in the otherwise contemporary settings. For most of us, the way our home looks has a lot to do with how we feel throughout the day. Creating a green wall can add a dash of change throughout the year as the organic plants continually grow and evolve. This organic green wall would most certainly stand out amongst your regular living room decor filled with electronic appliances, furniture and paintings. It also becomes quite the focal point and a conversation starter when guests arrive. Vertical Gardens can also form apt room dividers. 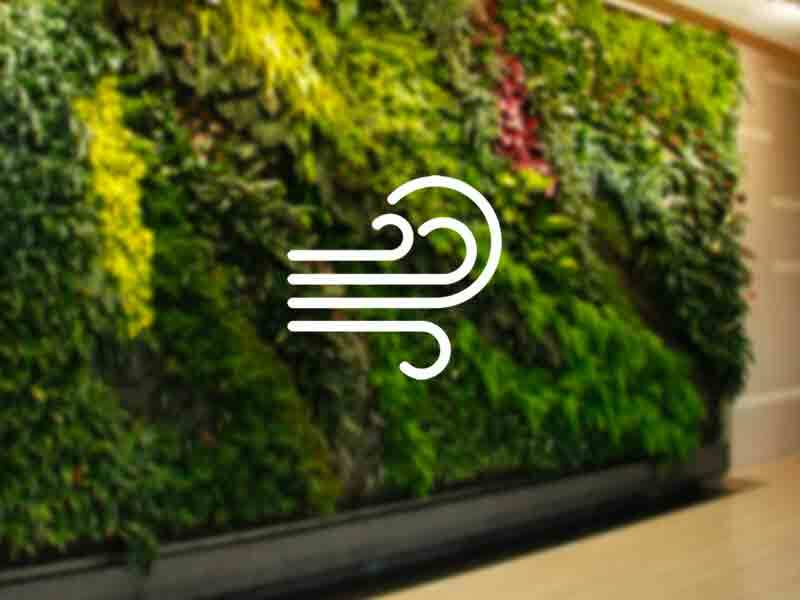 A living wall protects both your home’s interior and exterior from water seepage during rains and shields the exterior from harmful UV rays. Unlike traditional gardening, tending or harvesting the vertical garden becomes easier for those with arthritis or neck and back pain issues, as this does not require you to break your back by bending and kneeling for plant care. More so, since the vegetation is at eye level and the maintenance happens with drip irrigation system, enjoying the warmth and coziness of the green wall is equally feasible for one and all. From an old dresser, plastic bottles, pots, old ladders, shoe organizers and mason jars among others, there are a lot of ways Vertical Gardens can be used indoors and outdoors to create a personalized effect – just the way you want it to complement your decor. Personalize your Vertical Garden with not only trellises, frames or pots, but also by growing herbs and vegetables besides the regular plants. Talk about organic farming right at home! You can either grow foliage like Common Ivy, plants like succulents, cacti, lavender or geranium, herbs like lettuce, spinach, onions, garlic or veggies such as tomatoes, cucumbers, melons, pumpkins, peas and more. Which other home decor accessory can give you a host of such well-rounded benefits? Typically in a home setting, TV is for entertainment, ACs & Fans are for cooling. Vertical Gardens, on the contrary, is not just a piece of decor rather it’s a green solution that boosts your health, both physiologically and psychologically. It is a piece of art that is always upscaling with continuous growth and evolution. If this interests you, get in touch with us and we will bring nature closer home with a customized Vertical Garden.